Dishwashers Direct are proud to present the KROMO GR300 PLUS is a Hi-tech, granules-operated warewasher. 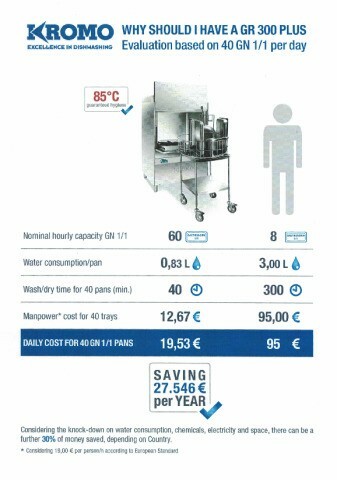 We consider the GR300 PLUS an excellent choice considering the need for no soaking and pre-washing which allows your staff to be more efficient in other areas. 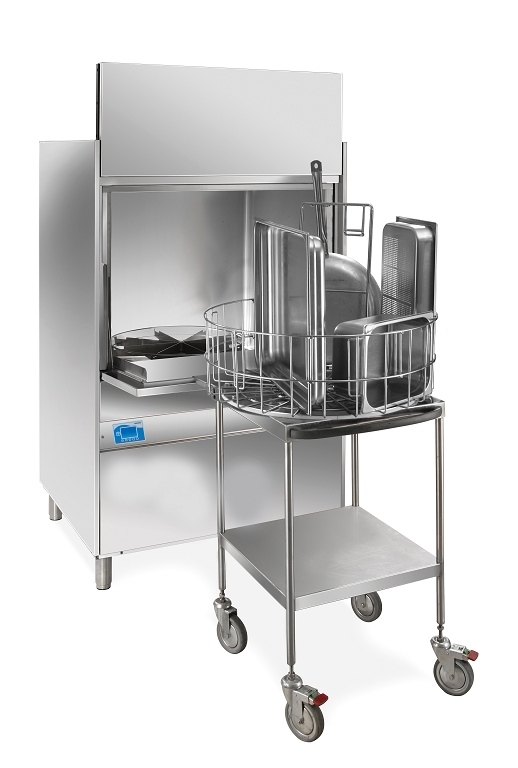 Thanks to the combined blasting of water, detergent and granules, the GR300 PLUS allows the perfect wash of a large variety of overlaid trays, pans and containers. The fast and cost-efficient operations guarantee a quick depreciation of the investment, especially when considering labour, water and detergent costs. 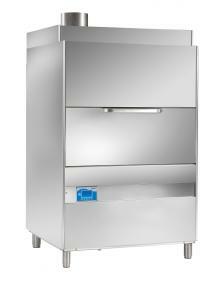 The KROMO GR300 PLUS front loading utensil washer has a double skinned door that allows for quieter operation. The GR300 PLUS offers a variety of wash cycles between has 240 - 900 seconds and will run through 4 - 15 racks per hour. The KROMO GR300 PLUS is delivered within 4 weeks and we would recommend that you use our qualified installation service. If you choose to have this dishwasher installed by Dishwashers Direct, we will provide you with 1 year FREE Parts & Labour Warranty. If you choose delivery only, we offer parts only warranty. You can choose to upgrade and extend your warranty upto 3 years including parts and labour.